Less than two years since the release of "The Missing Peace", the first L.A. 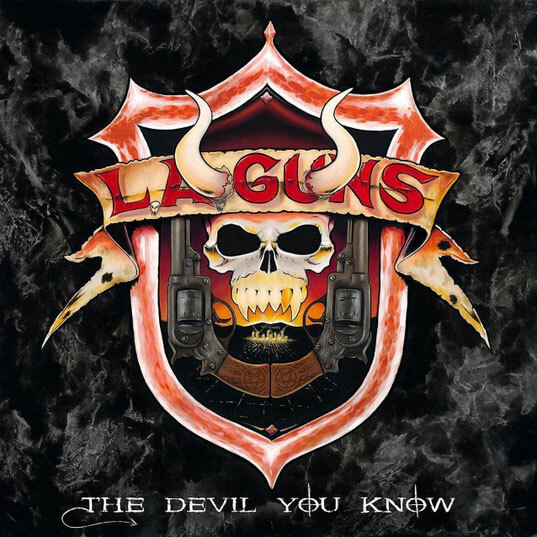 Guns album since 2002's "Waking The Dead" to feature founding guitarist Tracii Guns and vocalist Phil Lewis, the band will issue a follow-up effort, "The Devil You Know", on March 29 via Frontiers Music Srl. Sonically, "The Devil You Know" covers a lot of ground and incorporates influences from Black Sabbath to Led Zeppelin to Kyuss to The Hellicopters, all while distinctly sounding like L.A. Guns. The band is rejuvenated and inspired after relentless touring and is taking no prisoners. When "The Missing Peace" was released in October of 2017, it added a new and unexpected chapter to the long and often confusing history of L.A. Guns, who, along with W.A.S.P., are the longest-running, continuously active group of the 1980s Sunset Strip scene.